(StatePoint) The Information Age has moved society into a 24/7 electronic environment that exposes us to harmful light pollution every day. New research is illuminating the dangers of “blue light,” a high-energy wavelength of light that can disrupt the sleep cycle and cause damage to the eyes over time. Major university studies have shown that blue light can disrupt the ability to fall asleep, interfering with circadian rhythms by suppressing the production of melatonin, a hormone that regulates waking and sleeping. Chronically shifted circadian rhythms have been linked to breast cancer, prostate cancer, diabetes, heart disease and obesity. Unlike most wavelengths of light, blue light can penetrate deep inside the tissue layers of one’s eyes causing a greater risk for diseases like macular degeneration, the leading cause of blindness for those over 55. Children are especially vulnerable to macular damage and sleep disruption. Just as most ultraviolet exposure occurs before 18 years of age, the effects of blue light exposure are also more intense in children since they lack the protective pigments of adults. Blue light is everywhere. It`s emitted from the sun, fluorescent lights, and the screens of tablets, phones, TVs and computers. The problem lies with an increasing use of technology without protection. Luckily, new advances in protective eyewear have arrived just in time to filter out the harmful blue light before it reaches your eyes. For example, UNITY lenses are available with blue light protection to do just that. The good thing is that these lenses don’t distort color and actually relax the eyes. More information can be found at www.UnityLenses.com. Sleep and vision are essential aspects of total health. Decreasing blue light exposure in the evenings can help avoid the unintended health consequences of our modern lifestyles. Mitigating your exposure to blue light can mean turning off the TV at mealtime instead of before (or in) bed, and wearing protective eyewear at the office or at home when using your digital devices. 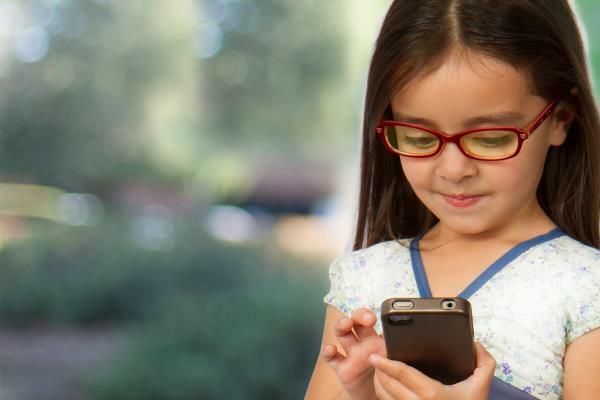 Limiting your screen time is best, but if your occupation requires a lot of computer use, remember to wear lenses that offer blue light protection. And for health’s sake, try to get some sleep! (NewsUSA) – You can thank Richard Nixon for all the presents about to come the way of American dads.